We hosted our third Creative Mixer this month at the studio and completely transformed our historical cottage into an indoor garden party with suspended greenery and special details. The brunch was focused around creative entrepreneurs and we invited the lovely ladies behind Kitchen Table PR to share their insight on the most beneficial ways to approach the press. They shared spoke to the importance of constructing your own public relations and marketing strategies for your growing business and brand - a special afternoon, indeed. The vision for the brunch was inspired by bringing the outdoor garden party in. 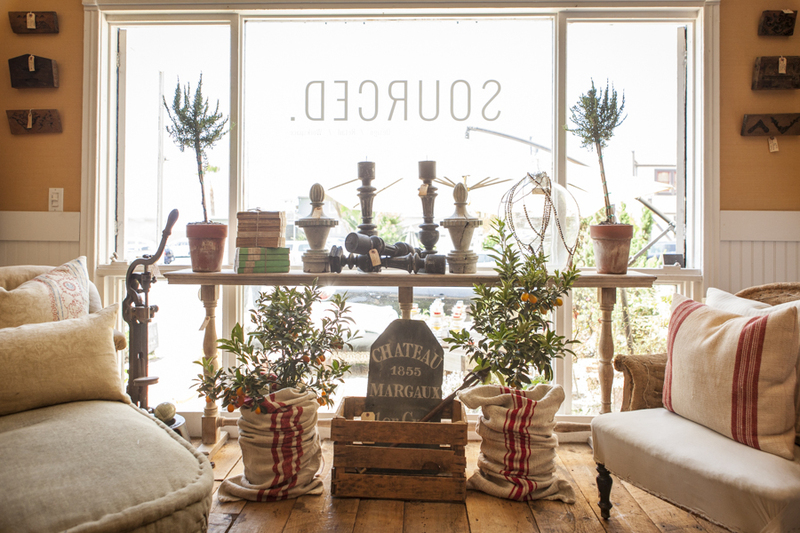 We reached out to our dear friend Jack from The Potting Shed in Orange and filled the space with kumquat trees, lemon swirl eugenia, pittosporum silver sheen, cascading ivy, and rosemary plants. Yoshi from Floral Fête dreamed up the stunning suspended greenery with three massive grids of myrtle, italian ruckus, plumosa, springer, boxwood, leather fern, and 200 drop carnations! For the tables, each setting was personalized with potted zinc pots with our guests names and local herbs. Our hope was that our guests would use their rosemary, chocolate mint, tarragon, or thyme in their own cooking inspired by the delicious brunch that was about to be laid out in front of them. Welcome notes sat on the plates done up with custom watercolor details and each one was typed out on our typewriter for an timeless feel by Christina Annalisa Designs. Goodie bags were stamped and set the tone with "let's brunch!" 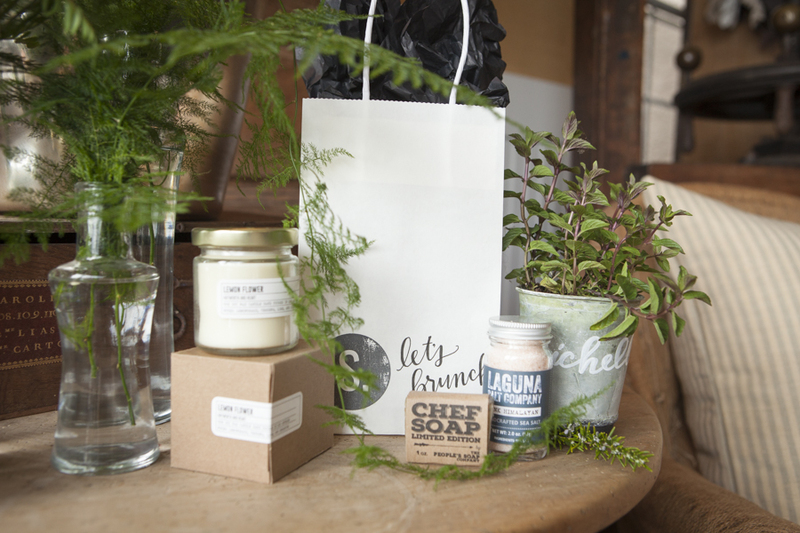 - inside guests found garden inspired scented candles from Hayworth & Heart, Chef's Soap from The People's Soap Co., and pink Himalayan salt from Laguna Salt Company. Our studio had never looked better or evoked as many gasps! Rebecca Judy had no problems finding the perfect light and had fun with our bathroom detail "FOLLOW THAT DREAM" reminding everyone of their purpose and journey. The festivities started outdoors in our front patio where guests greeted with champagne topped with their choice of Strawberry Mint or Mango Basil purees. The fizz sound added to the buzz and the ocean breeze. 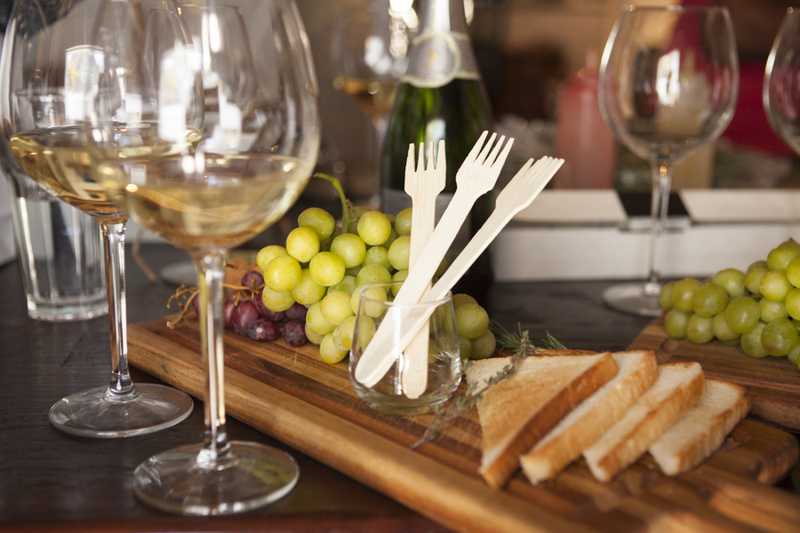 Guests were able to mix and mingle and meet our amazing co-hosts from Lark and Fork in the Road Catering. 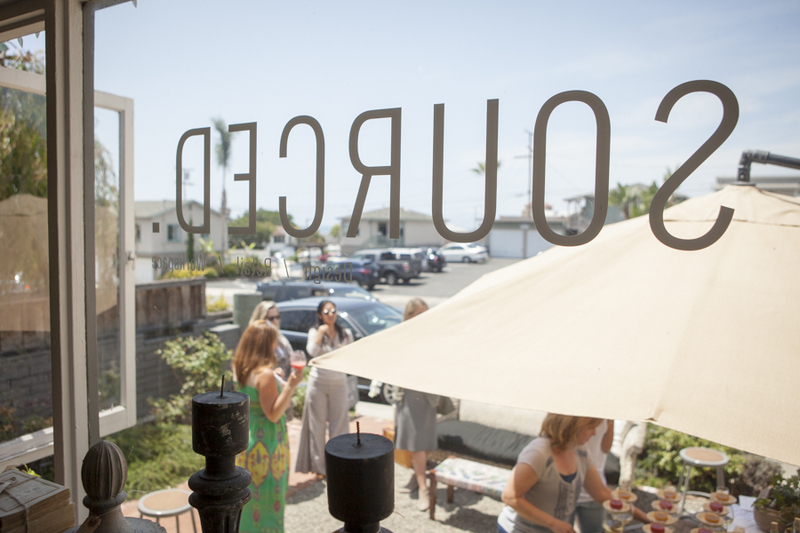 Lisa and Chef Kyle Powers shared about their passion business of curated pop-up events throughout Orange County. Once guests took their seats inside - our pop-up kitchen kicked into full effect and Eddie & Jordan from The Neighborhood Journal caught all the behind the scenes action on film. It truly was such an refreshing afternoon of listening, learning, and connecting. The food - let's pause - was truly equal parts innovated as well as comforting. Crostini toast with riclette and prune jam, Lemon Rosemary French Toast with apple thyme, Short rib polenta with egg...Did I mention the bacon jam? I think we all remember the bacon jam! We look forward to hosting our next Creative Mixer and thank everyone who joined us this time around! Special Thanks to all our sponsors & contributors! 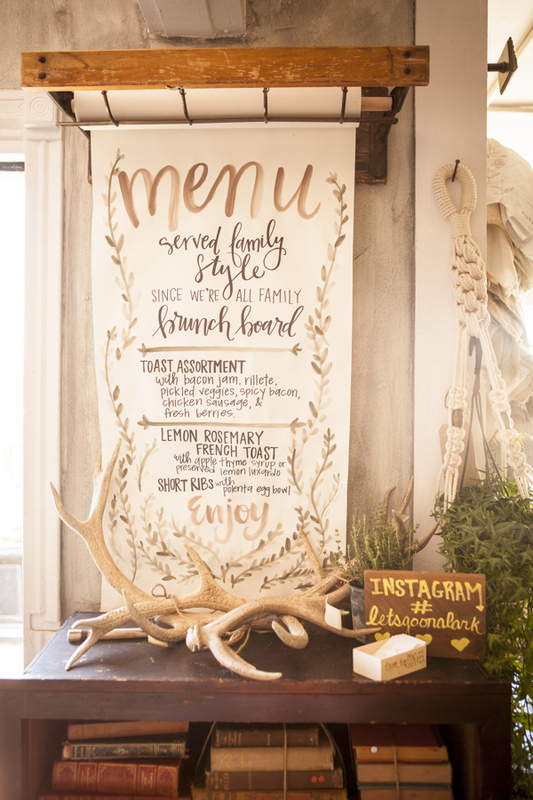 Event Planning and Styling Direction // Michelle Mercado for SOURCED.